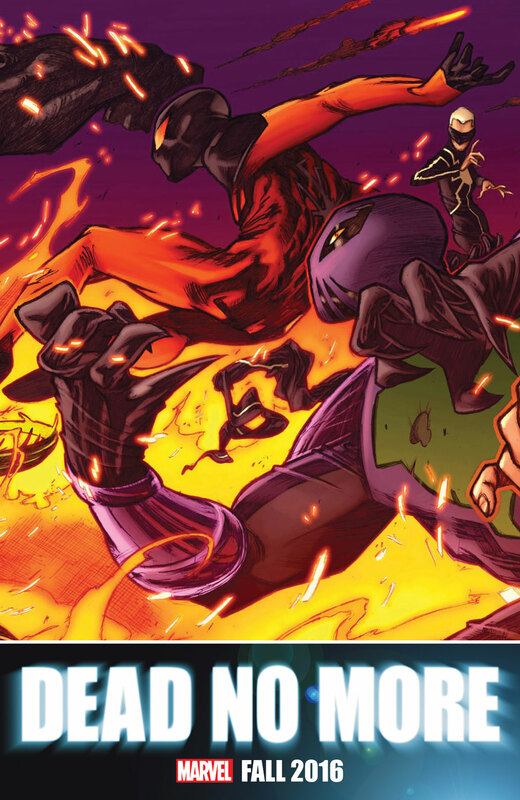 Today Marvel continues to build interest over their Spider-Man Dead No More story arc with a teaser featuring dead spider-characters like Scarlet Spider and Madame Webb together with Prowler. You can view the new Dead No More teaser after the break. 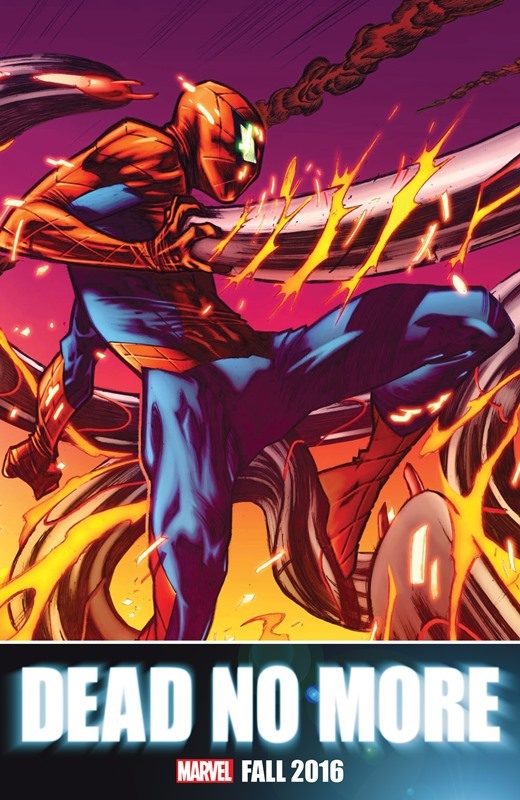 Aside from the aforementioned dead Spider-characters Kaine/ Scarlet Spider and Madame Web, we also have the Prowler who acts as Peter Parker’s bodyguard and enforcer in the current volume of Amazing Spider-Man by Dan Slott. 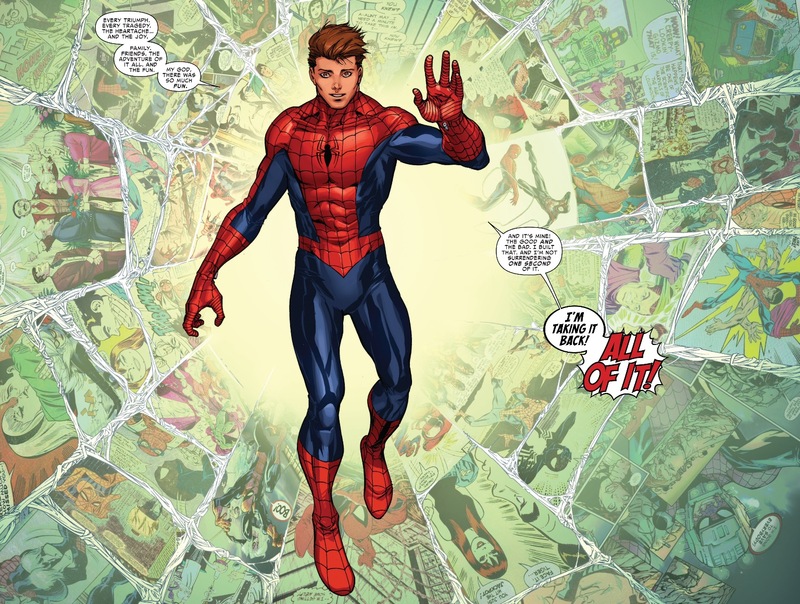 CBR points out that there is a missing teaser in between this and the other teaser featuring Spider-Man and that could potential reveal what Dead No More is all about. 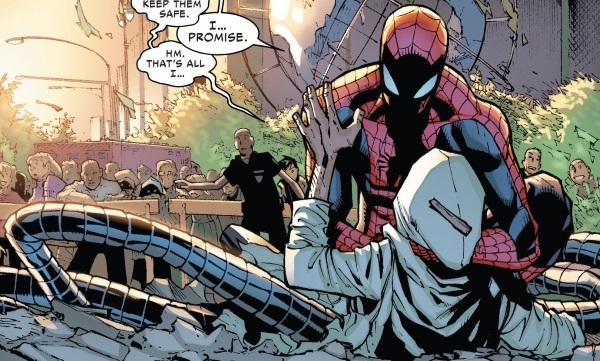 … and his ‘second’ death in the finale of Superior Spider-Man. 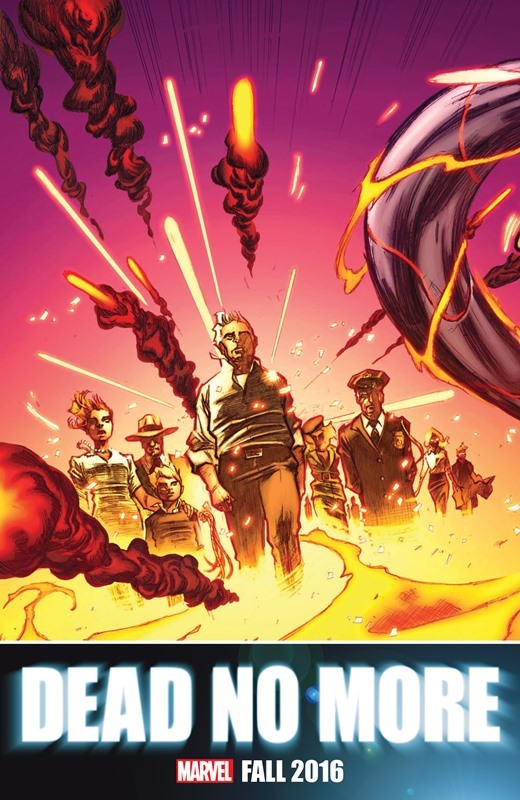 Find out who will return to life in Marvel’s FCBD book for Dead No More written by Dan Slott with art by Javier Garron. Also in the book’s other half is the return of Steve Rogers as Captain America in a story by Nick Spencer and Jesus Saiz.